The ideal of this project was from most of the class situation. Most of students now live alone without their family, it brings about sleeping all day during the class start. For this reason, we want to make a system that can save our signal from each of our student cards automatically when we put our student cards on it. We consider that it not only can help all of the professor to save their time on checking students if they are in class or not but also can raise the percent of students exactly participate their class. 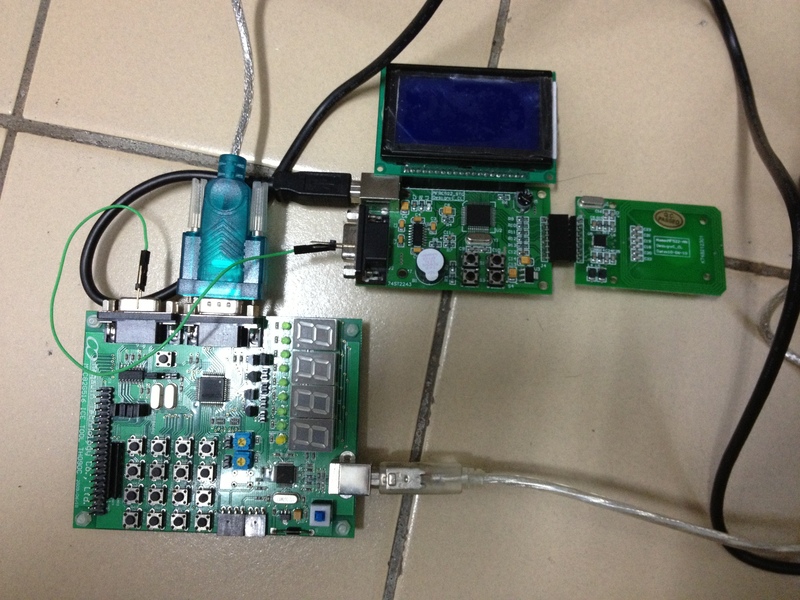 This project combine lots of things, such as RFID,MPC82G516...etc.